In celebration of our longstanding partnership with fellow British heritage company Bentley Motors, we are very proud to introduce the new special edition Naim for Bentley Mu-so range of wireless music systems. With a striking new design, including delicately patterned aluminium skin and a knurled volume control reminiscent of classic Bentley styling, the new Naim for Bentley Mu-so and Mu-so Qb are packed with all the features any music lover could demand. Just like the original award-winning Mu-so wireless music systems they feature native TIDAL and Spotify, AirPlay, UPnPTM (high-res streaming) and Bluetooth aptX connections. The Naim for Bentley editions are now available online from the Bentley Collection, through authorised Bentley dealers and JohnLewis.com. At its heart the Naim for Bentley Mu-so is an active arrangement of amplifiers inspired by the technology we developed for Bentley Motors. These drive our custom-designed speakers to offer a staggering sound that defies size – the Naim for Bentley Mu-so Qb delivers 300 watts while Mu-so packs 450 watts of incredible sound. However, power means nothing without control. That’s why the Naim for Bentley Mu-so features a 32-bit digital signal processor capable of millions of calculations per second. It’s the audio brain of the system, controlling software that’s been fine-tuned by engineers in our listening room. It means that every last drop of performance is extracted from your music. Designers from Bentley’s in-house team worked closely with Naim Audio’s Design Director, Simon Matthews, to create the unique systems that reflect the duality of classic British engineering matched with cutting edge digital audio technology. With a striking new design, the Naim for Bentley Mu-so features a bespoke metalwork pattern based upon the Bentayga’s Naim for Bentley loudspeaker grille. The rotary control interface features Bentley’s signature knurling, while the speaker grille cover matches the hue of Bentley’s Portland hide. Even the colour of the anodised aluminium heat sink is unique to the Bentley Collection, and a discreet Naim for Bentley logo is engraved on the acrylic base. There is no doubt that these new systems are objects of beauty and grace as well as Naim standard audio performance. Stream music from a PC, Mac or network-attached storage in high-resolution, ‘better than CD’ quality. Stream music from your iPhone, iPad or iPod touch or from iTunes and Apple Music of course. Pair with a Bluetooth device to instantly play your music. Also compatible with aptX for high-performance audio where supported by the device connecting to the Naim for Bentley Mu-so. The Naim for Bentley Mu-so features an alarm clock which can be enabled via the settings menu in the Naim app. A built-in stereo jack socket connects the Naim for Bentley Mu-so to TVs, consoles and other audio equipment. Play music from other digital and analogue sources including MP3 players. Play music between any combination of Naim for Bentley Mu-sos and other Naim streaming products in up to five rooms (up to four via wi-fi; fifth via ethernet connection) of your home. Choose the same song in beat-perfect sync or play different music in different rooms all via the Naim app. Combine the Naim for Bentley Mu-so and Mu-so Qb with other Naim Audio streaming products for the ultimate multiroom experience. Simply sync the units to play the same song beat-for-beat in up to five rooms (up to four via wi-fi; fifth via ethernet connection) of your home or play different music in different rooms all via the Naim app. Unite all of your music in one place with the intuitive Naim control app for iOS devices and Android and put millions of songs at your fingertips. You can scratch the surface or go deeper to explore information on artists, discographies, biographies, reviews, image galleries, similar music and more. The app even includes a simple set up wizard so you’ll be online and listening to more music than ever before in no time. Brushed aluminium casework, silver anodised heatsink, portland stone fabric grille. 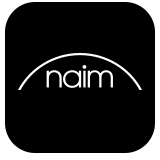 Tell us about your new Naim for Bentley Mu-so to get exclusive updates and special offers.